Welcome to a new installment of DIRECTORIAL DEBUT, where we look at some of the best, most interesting, and iconic directors and the films that started their careers. 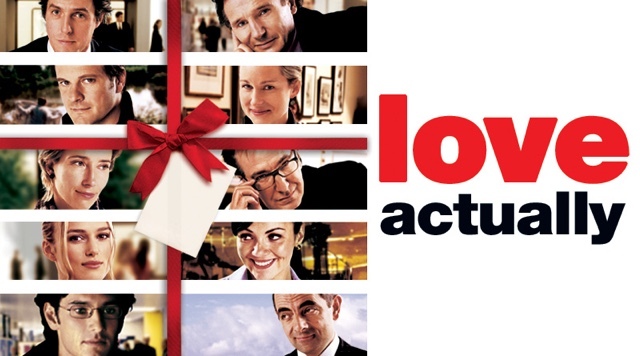 This week we take a look at the great holiday romantic comedy by Richard Curtis, LOVE ACTUALLY. A directorial debut can definitely make or break a director's career, and Richard Curtis hit a home run with Love Actually. This film has so many great names attached to it: Alan Rickman, Emma Thompson, Hugh Grant, and Kiera Knightly just to name a few. It has a rare magical quality and has become a beloved holiday film. Richard Curtis was very fortunate to have this film be his first to direct. However, he's also a successful screenwriter known for Four Weddings and a Funeral and Bridget Jones's Diary. So, what is so special about this film? Well, it centers around falling in and finding love. Audiences enjoy watching people fall in love and seeing their love survive. The characters stories are all interwoven into one larger story. They're connected by love or their lack of it in their lives. We have the ladies man who is secretly in love with his best friend's wife or the prime minister who falls for a commoner. All these situations come together to give the audience something wonderful to watch. There are ten stories in all. Curtis already had a successful career as a writer before making his directorial debut with Love Actually. He was nominated for an Academy Award for Best Original Screenplay for Four Weddings and a Funeral in 1995. Then, in 2004, he won a BAFTA for the screenplay of Love Actually. This film received fairly good reviews in England and mixed reviews in the U.S., garnering a 63% on Rotten Tomatoes. The one thing most critics did agree on is that this film had a phenomenal cast. I also recently learned that a 10-minute sequel to Love Actually was filmed this past February and aired on BBC One on March 24. Hopefully, I'll find it online somewhere. This film is special to me; especially since the passing of Alan Rickman. If you haven't watched Love Actually then you are in for a major treat.